Nowadays, the global economy keep making progress. However, certain inequalities and discrimination still exist all over the world. Gender inequality is a major concern for us. Women were forbidden to vote or participate in election until 1950s. Female status was always lower than male. Women were considered to stay at home and behave themselves. After the First World War and Second World War, people started to realize that women ability was underestimated before. Nonetheless, according to the guardian, “Women earn less money than men, with less stable jobs and lower participation in the workforce – and that drags down the whole economy”. 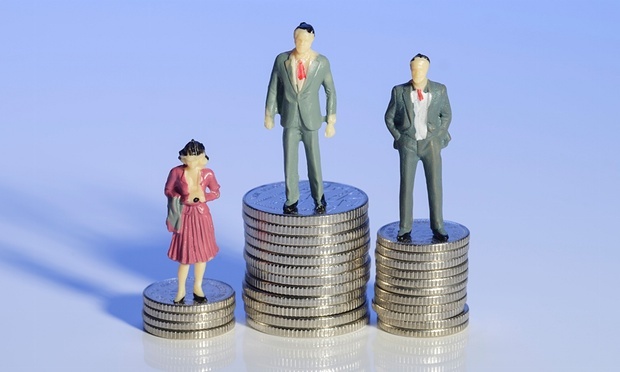 Therefore, Economic inequality for women costs an estimated $9tn per year in the developing world. As a matter of fact, gender inequality not at first happen in workplace. Many girls in the developing countries did not receive proper education. It is due to the stereotype that female is less worthy and important than male. Besides, parents in the developing countries need to struggle with living cost, let alone to afford tuition fee, uniform and books for children. Most parents only send their son to school instead of daughter. Moreover, women in the developing are allowed or forced to get married in young age, so that parents won’t let their girls to receive education. According to girls Not Brides, 9% of children married by 15 in Zambia. Lack of education caused women could not have more opportunities in the workplace. Most of them can only ended up working in the factory. Besides, both women and men in the developing countries encounter a struggle in order to make ends meet, women are almost always at the bottom, in the lowest paid and valued jobs. Women make up 60% of the world’s working poor, but on average they are paid between 10% to 30% less than men for the same job (from World bank). Female employees are more likely to work in temporary and part-time jobs, are less likely to be promoted. Many women are also responsible for unpaid and undervalued work such as cleaning to childcare and domestic work. Most people just ignore the fact that this is kind of labor force participation. Even though women do not receive wage or pay doesn’t mean that they don’t have any contribution. Therefore, the society has been devaluing women’s ability. Not only women cannot have a fair wage, the also encounter social inequality and discrimination or even violence. Certain people have the stereotype that women have lower ability than men in terms of occupation, female are always considered weaker than male. Lower income, unregulated and insecure work and a lack of economic security makes women have to be more obedient and dependent at home. Some husband even exerted violence on their wife. This is particularly obvious in less developed countries, where economic inequalities are often even more apparent. From my opinion, government in less developed countries should put more resources and efforts in education. To be more specific, government should enact a policy that girls must receive at least six-year free education. Infrastructure is important as well, for example, local government should build female bathroom in schools in order to protect girls and encourage them to receive education. Regarding fair wages, government should punish those enterprises which discriminate against women. Corporations should also need to eliminate their stereotype of women. Companies should put more emphasize on employee’s ability instead of gender. Recruitment partners should be aware of gender diversity policies and objectives. Last but not least, gender inequality is a major part of the global jobs challenge, all the countries should strive for solving this issue.